Guide for installing Fail2ban for Synology NAS devices and configuring it for web services like Owncloud or WordPress. This guide will have detailed instructions for enabling and configuring Fail2ban service for Synology NAS device (DSM 6) and hosted web services like Owncloud or WordPress. If you don’t know what is Fail2ban – it is about time to HEAR about it. It is simple program that will monitor your service logs, and block any IP addresses after too many experienced failed login attempts to your services. This is MUST HAVE for those Synology NAS servers, or any servers out there, that are exposed to over-network login for accessing data or services. So always remember to implement proper logging even for your homebrew services, so that you can further utilize Fail2ban for those as well. 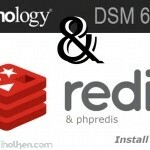 The setup described in this post will re-start Fail2ban automatically after NAS re-start and even preserve active jails and re-initiate those after reboot. You don’t need to enable this for native Synology services, like SSH, Mailserver, or DSM login. Those are already covered by using the ‘Auto Block’ feature under DSM security settings (I hope you have enabled those!!). So these services do not need this Fail2ban configuration, but any web services you might have published, like Owncloud, phpMyAdmin, WordPress sites, web site with .htpasswd protection or any other custom services you might have –> will really benefit from this application. For example even though WordPress has handy plug-ins for this IP blocking, I prefer stopping the attacks before webserver layer for performance reasons. As an example in this guide, I will provide very detailed steps for configuring Owncloud to support Fail2ban in Synology. Mainly because there seems to be huge interest in installing Owncloud to Synology, and this is definitely a step to the right direction. 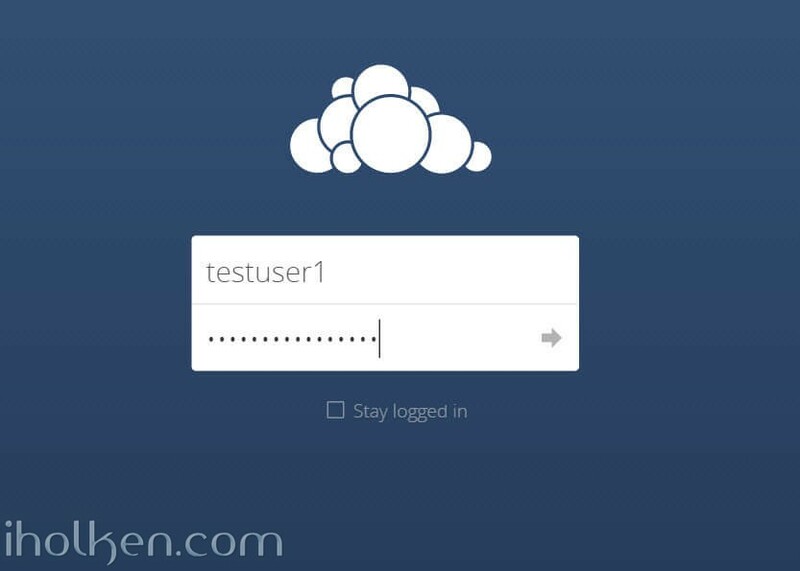 If you have not yet installed Owncloud into your Synology NAS device, and you are wondering exactly how to do that. Please take a look at another post in my blog. If there are many requests coming in for generating detailed configuration steps for phpMyAdmin or .htpasswd protected sites, I might look at adding those as separate blog entries in the future. 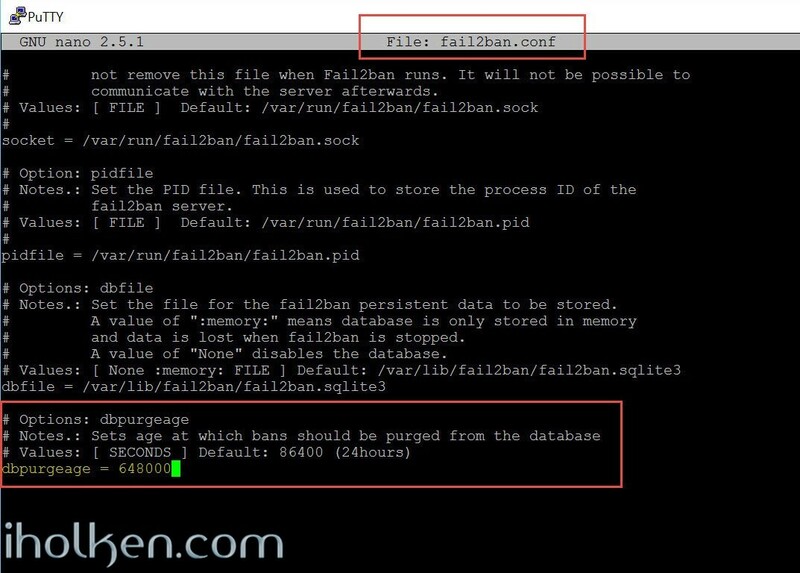 But I’m confident that after reading this article, you will find that configuring Fail2ban is easier than you expected – and you will master further services yourself just fine. That is why I’m always trying to create very detailed guides and steps, so that even inexperienced users will get the hang of it. As a summary – Fail2ban is a MUST-HAVE tool for protecting your service from any brute-force or Denial-of-Service (DoS) attacks, as the time/effort ratios will definitely turn into your favor after enabling Fail2ban service. 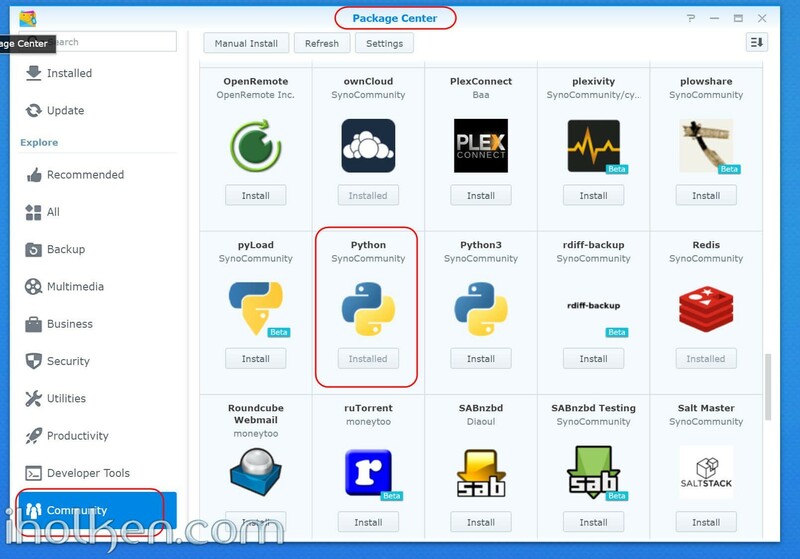 Synocommunity is enabled into Synology as package source. By default in this guide we are doing all the steps SSH terminal session, using user sudo root (enabled in DSM6). So even though not mentioned in the commands separately – execute commands as root user. 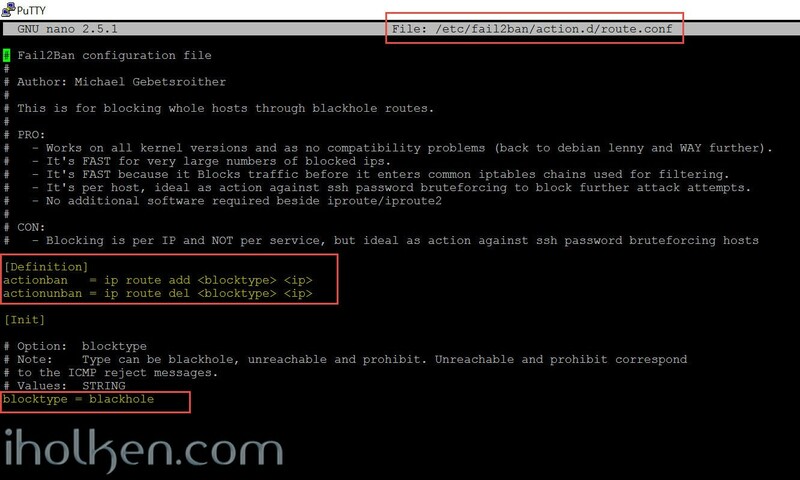 At the time of creating this guide, Fail2ban stable version 0.95 is made for ipv4-addresses. Nowadays most of the traffic is still ipv4, so this will effectively block the vast majority of attackers. That been said, ipv6 is all the time coming more popular – and also the Fail2ban community is currently working on new release branch for Fail2ban (v0.10 alpha currently). I will definitely follow up that progress, and will be installing and taking into use version supporting ipv6 as soon as the maturity of the application will allow it. But meanwhile this guide will take you through the basics of enabling Fail2ban for Synology NAS and the webservices it might have. You will gain understanding for the application and I don’t think the new branch will that much deviate configuration wise from the current version. After enabling Fail2ban, you can feel a lot safer leaving those services of yours alone out in the wild! 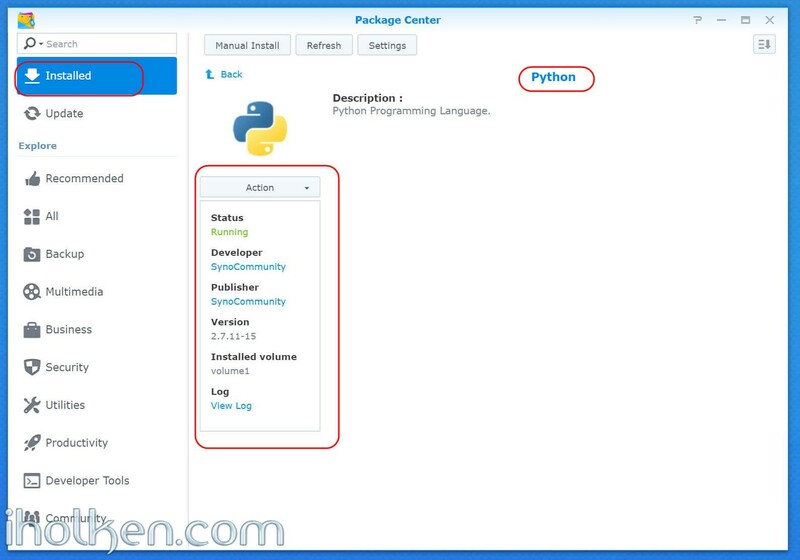 Install python 2.7 package from Synocommunity. We will use wget through SSH to download the tar archive from the official fail2ban github repository into our NAS (You can do this part manually through your desktop as well – with the ZIP files, just extract contents and copy those to your NAS /tmp directory and modify the command paths accordingly if needed). Note: I’m hosting a non-modified fork of fail2ban (including version 0.95) in my github storage in order to ensure that this guide will work as intended into the future, in case some changes are coming to the original fail2ban github structure. Next Fail2ban updated version I’m planning to take into use in the future is 0.1xx series supporting also ipv6. But currently the maturity is still on alpha level and usually I don’t take into production that early phase versions.. Thanks Fail2Ban contributors and community for excellent piece of software! Lets continue with the installation. I have decided to use route command for blocking incoming connections, instead of iptables [firewall] based command. Mainly because this will block conveniently the associated IP for all ports (!) in simple method. As I strongly believe if someone is trying to hack my services in one port, why shouldn’t he/she try to hack other services as well. Also the configuration is actually much more straightforward and reliable in Synology NAS environment. Works on all kernel versions and as no compatibility problems (back to debian lenny and WAY further). It’s FAST for very large numbers of blocked ips. It’s FAST because it Blocks traffic before it enters common iptables chains used for filtering. 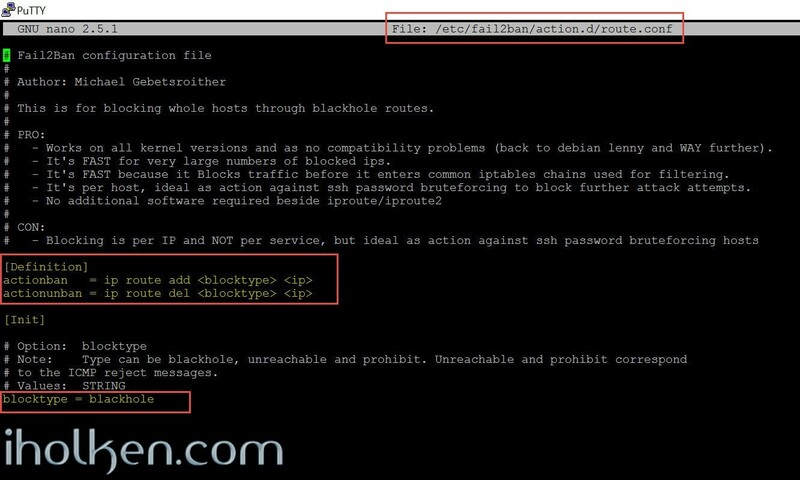 It’s per host, ideal as action against ssh password bruteforcing to block further attack attempts. There is 3 different options for the blocktype. Below is the simplified theory behind these options. Blackhole: It behaves like it’s name – any traffic sent there will not ever get there – nor will it provide any response. Eventually this will time-out. Perhaps more painful to legitimate customers. Unreachable: Should provide an ICMP message, trying to connect, but could not connect. No further information. Prohibit: Should provide an ICMP message, trying to connect, but telling that you are prohibited to connect. I suggest you try all those options, and then decide what is best for your situation. I’m not actually even sure, if modern browser make any difference in what they show to users as the reason for connectivity error for above presented options. Fail2ban has a lot of pre-defined jails after installation, but they are not enabled by default. So if you start Fail2ban after installation, no jails are activated for monitoring the login attempts. I will not go through the whole original jail.conf file, but instead we are creating only the valid services and jails for our Synology NAS device, and these will be created into jail.local file, which is the expected user configuration file for Fail2ban. backend = This entry specifies how fail2ban will monitor log files. auto = fail2ban will try pyinotify, then gamin, and then a polling algorithm based on what’s available. Now we have created the basic settings for Fail2ban, without any active jails. At this point we can try to start the Fail2ban service, and confirm that no errors are coming up with starting the service. We can see that the service is starting, then checking status –> there are no active jails, and then stopping service successfully. Now that we have created Fail2ban basic settings, before starting to configure the actual jails for the filters, let’s still configure the Fail2ban service to start automatically after Synology NAS reboot. First we create a simple .sh script for starting the Fail2ban -service. And then we create into Synology task scheduler a triggered On-Start task. See below screenshots on further instructions. You can also define email alerts for execution or abnormal behaviour of your, if you so desire. 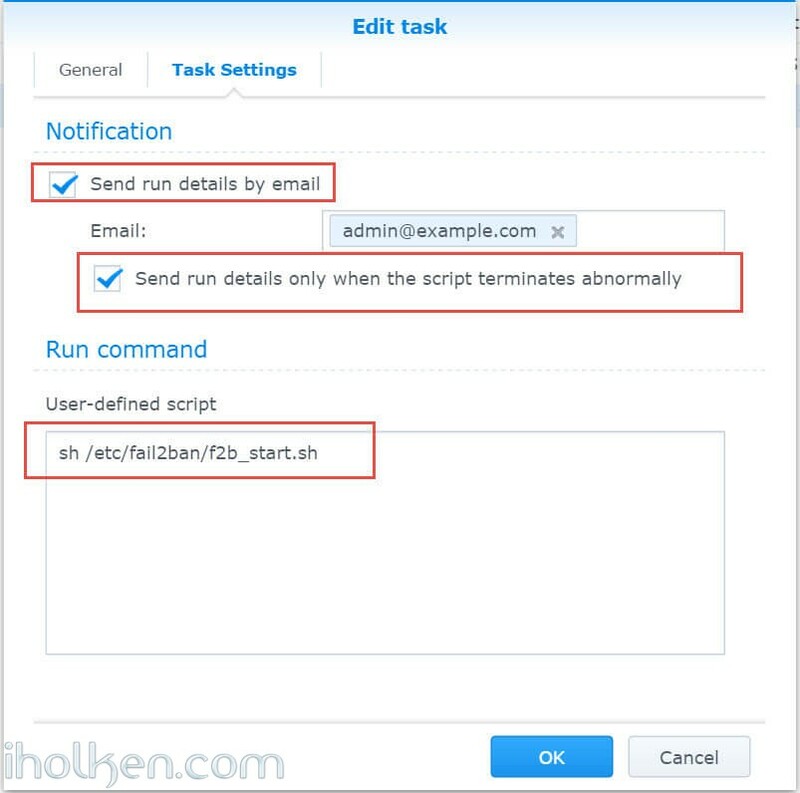 Now we can actually test our created task by highlighting the task in scheduler, right-clicking the row and selecting ‘RUN’. Check the service status before and after, for confirmation that our created task is working. Even though this is quite thorough testing, I still recommend live test and re-starting your NAS and checking Fail2ban service status still after re-start. After that you can be sure that it will work going forward. Please note, that it will take a short moment after re-start that the on-boot task will be run in Synology scheduler – so please be patient when testing, Synology will start all the DSM services first. NOW we have setup the Fail2ban service in our Synology NAS. Next step is to define the first jail for Owncloud. 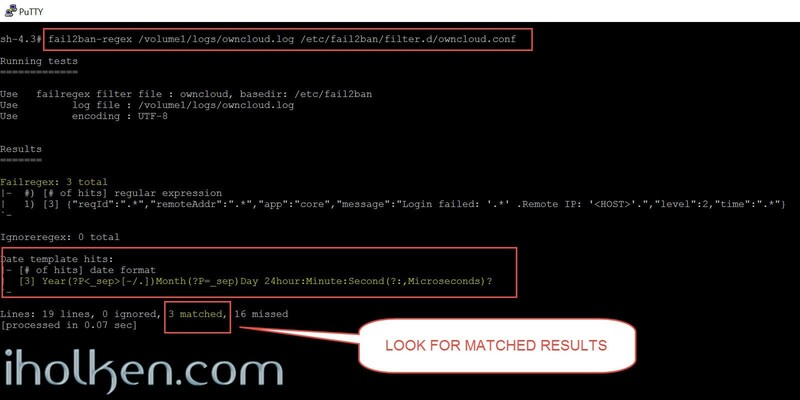 Owncloud needs to have logging enabled, and the log timestamps need to be correct. The early versions of Owncloud 9 had issues with log timestamps, so in case your version is impacted from that issue, we need to fix that first. Note: This step is valid only if your Owncloud log timestamps does not match with real timezone and time in your server, and this depends your Owncloud 9 version and when you downloaded it from Owncloud.org. As per my understanding this has been backported to the Owncloud 9 installation package afterwards since its release. If your log timestamps are matching with system time –> proceed to step 9. And check if the Owncloud log timestamps are now matching your real system time. Now that we have confirmed that the Owncloud logging is working, we can start configuring Owncloud and Fail2ban to work together (if your Owncloud is installed in different path, modify accordingly). NOTE: ‘logdateformat‘ is important, it really needs to be compatible with Fail2ban. Please use this format – otherwise Fail2ban will not work/block. ‘loglevel’ needs to be ‘2’. Logtimezone needs to be correct, the time in your logs and time in your server needs to match – otherwise your timings in configuration will not work and Fail2ban will not block. Of course YOUR log Owncloud location and timezone should be the valid values for your setup. If you do not find the logfile location defined, it is by default in your Owncloud data folder. In that case you can (if you want) define it elsewhere with above line in Owncloud config.php. I have personally changed the default owncloud log location to be outside from Owncloud default directories. Then, if you are utilizing the PHP open_basedir configuration restriction, you still need to add the new created logs folder there, otherwise PHP will not have the right to write there (with reference my blog about Owncloud installation to Synology NAS). And next we should verify that logging works, do couple failed logins and check the owncloud logs. And this is how the failed attempts SHOULD now look in your Owncloud log file. Now that you have created your failregex for Owncloud, we have the possibility to manually test the failregex we created against the Real log events for failed login attempts in Owncloud. Then create few failed logins into owncloud (note: you need to do all this within the time [findtime] you defined earlier). Now finally after all the setup, configuration and testing – it has come the time to really test the fail2ban service operation by accessing the real service under monitoring [Owncloud]. I STRONGLY recommend you to test and confirm functionality from an IP address on the WAN side, using completely external IP from your LAN network. The routing in your internal LAN is not reliable for testing – you can’t really make justifications based on that. So please test from outside, and from an ipv4 address (check and confirm with Whatismyip.com if not sure othjerwise). This was the guide for settings up Fail2ban and configuring Jail for Owncloud. I hope this helps you in improving the security of your system. If you got your setup working using this guide, or you have any questions regarding any of the steps in above guide – please throw me a post or feedback in below form! Thanks! Author is a passionate IT enthusiast and early adopter. Packed with years of experience leading Enterprise level IT development teams within the biggest companies of Technology industry. Watches closely start-ups and new disruptive innovations in order to stay on the cutting edge. Embraces hands-on IT development and IoT. 6 Responses to Guide for installing Fail2ban for Synology NAS devices and configuring it for web services like Owncloud or WordPress. New post about Fail2ban installation on Synology NAS devices published. Also including jail configuration for Owncloud. Take a look and improve your security! Thanks for the feedback – appreciated. Great to hear it worked out for you! Hello, thank you very much for this tutorial, it was very good for me. I just wanted to know if you are going to update to the latest version of fail2ban as you comment. I would come very well, greetings. Im guessing its due to login as admin not root ? ?